Now accepting Photo Essay entries!!! We realize here at The Talking Twenties that not everybody is into writing, but, lucky for us, there’s more than one way to show us what’s on your mind! 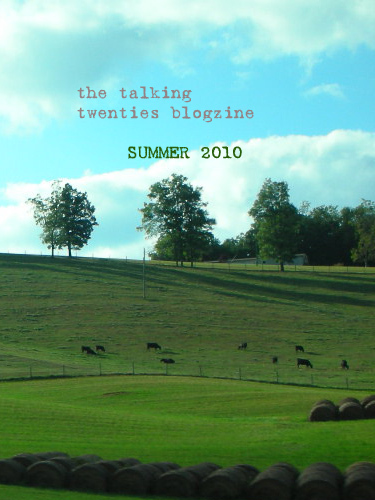 The Talking Twenties wants to know where today’s twenty-somethings are and where they’ve been — that’s why we have decided to add photo essays to our global culture section! We ask that you send a minimum of two photos to thetalkingtwenties.submissions[at]gmail.com with your desired username (and real name if you wish to share it in our credits section), the location the photos were taken and a short caption or two that describes what we’re looking at or why you were there. Be as long-winded (or as shy) as you want! Photos both within the United States and abroad are accepted, whether they’re of the place you live or of a town, city or country you’ve visited. but i’ll cheer you on! I’m am SO excited about this addition! My photos are coming soon!